Many people view forgiveness is a pivotal process in avoiding unnecessary conflict and our ability to maintain valued relationships. 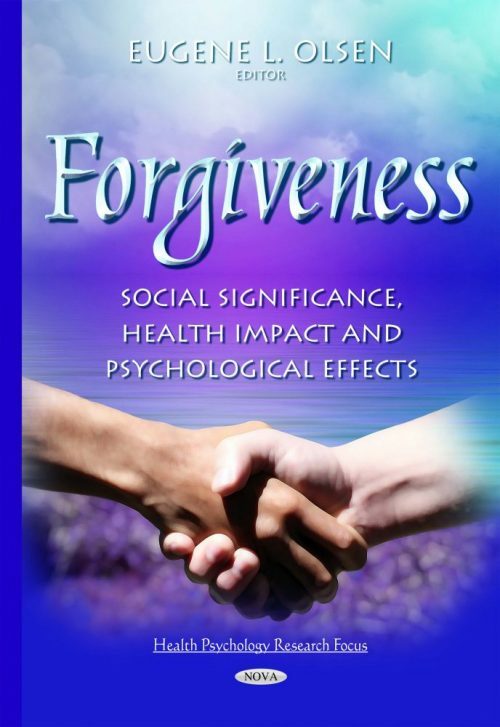 The chapters in this book explore a range of cognitive and social factors that are purported to contribute to forgiveness and which ultimately influence one’s memory for the offending incidents; the relationship between forgiveness and psychological and physical health; forgiveness in parent-child relationships; forgiveness between people who act as parents and carry out their parental role and forgiveness between couples and in intimate relationships; the act of forgiveness and reconciliation in war survivors; research on people’s disposition to forgive the self when they have done harm to another person (intrapersonal or self-forgiveness) as well as the victim’s response to the wrongdoing, and the relationship between the offender and the victim in the self-forgiveness process. In the final chapter, the psychological process of forgiveness is questioned, and forgiveness as both a psychological capability and normalitive ideal is examined. The author argues that any sense of forgiveness as a moral relationship (and achievement) between two people is lost in a world in which ideally, the psychology and morality of forgiveness reinforce each other at times, and conversely, are at times in conflict.